BARDSTOWN, KY – C. Parker Luthman, Bartender at the Eddy in Providence, RI, announced as the Heaven Hill Brands and Liquor.com New York finalist for the 2019 Bartender of the Year Competition. Luthman won first place, $1,000 and a trip to the finals at Half Mile Farm in Highlands, North Carolina. In the second round of the semifinal competition, contestants created the inspired cocktail submitted as a recipe in the preliminary round. Luthman crafted the “Feelings of Home,” inspired by finding family in unconventional places (see recipe at end of release). Andon Whitehorn of The Arcadian in Middlebury, VT won second place and $500. Six semifinalists competed regionally in New York on Monday, April 1 at [bā’sik]. Bartenders competed in three rounds, the first two featuring the classic cocktail and inspired cocktail from their preliminary submission. For the final round, bartenders created a custom drink for a fictional bar menu using a minimum of 1.5 ounces of at least one Heaven Hill brand not previously featured in one of their cocktails including Domaine de Canton French Ginger Liqueur, Elijah Craig Small Batch Bourbon, PAMA Pomegranate Liqueur, and Rittenhouse Rye Whisky, as well as Dubonnet Rouge Aperitif, Sacred Bond Brandy, or Lunazul Tequila. Contestants and judges were then invited to a family dinner at Olmsted and professional development with Masa Urushido of Katana Kitten. 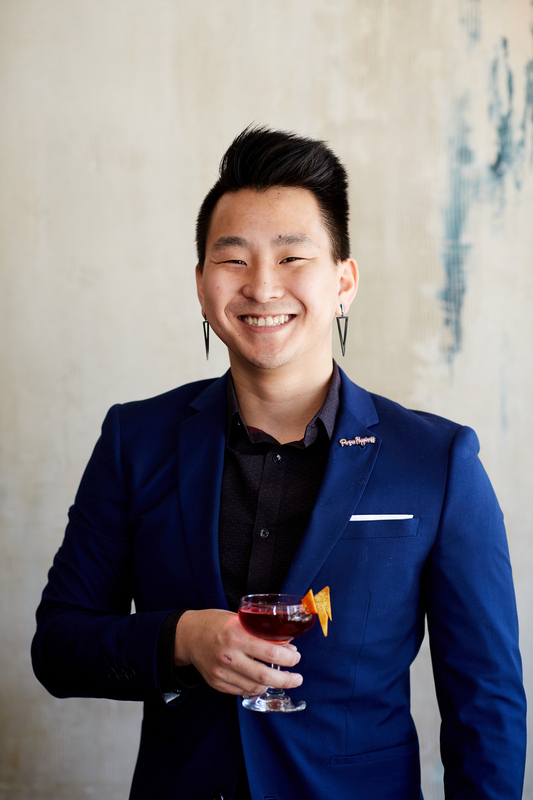 Urushido created a cocktail utilizing Heaven Hill products and spoke to his inspiration behind it, as well as his career paths and how dedication to people and customer service has led to his success. National Brand Educator for Heaven Hill Brands Lynn House, Owner/Bartender of Pouring Ribbons Joaquín Simó, and Urushido judged the semifinalists’ cocktails and chose one finalist based on highest scores. Contestant skills and cocktails were scored on flavor, appearance, presentation, technical skills, use of sponsor brands, and adherence to judges’ guidelines. 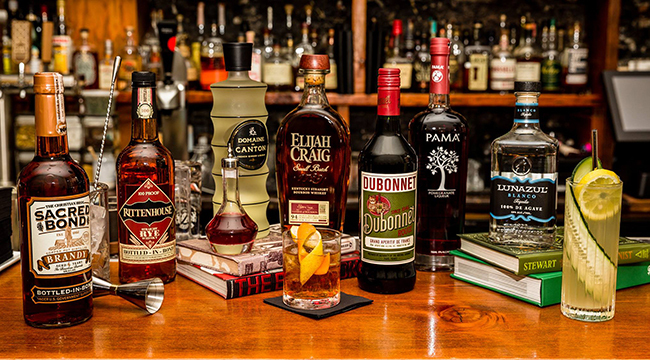 Grounded in the original Bartender of the Year Competition hosted by Domaine de Canton starting in 2009, Heaven Hill Brands resurrected the competition due to strong demand from bartenders worldwide. Harrison Ginsberg of The Dead Rabbit in New York City was the 2018 Bartender of the Year and will return as a guest judge for the finals. 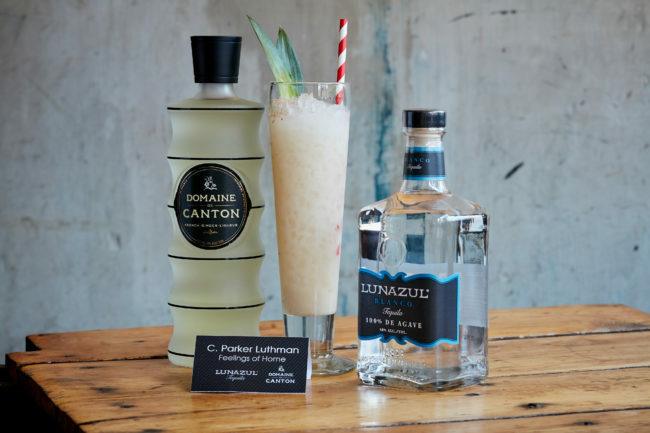 Ginsberg joined an impressive rank of past champions, including Nathan O’Neill from the Nomad Bar in New York City who was named Bartender of the Year in 2017, and Abigail Gullo formerly of Compere Lapin in New Orleans who won the inaugural competition in 2016. Visit the official competition website at www.bartenderoftheyear.liquor.com for complete competition details.